Product prices and availability are accurate as of 2019-04-19 11:18:51 UTC and are subject to change. Any price and availability information displayed on http://www.amazon.com/ at the time of purchase will apply to the purchase of this product. 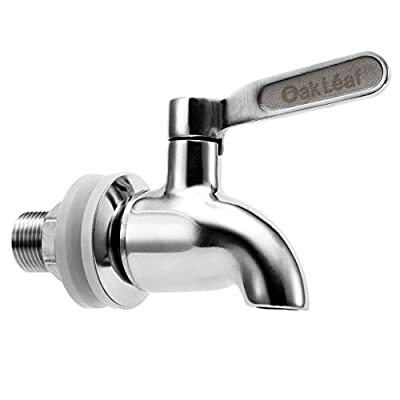 Oak Leaf Superior Quality Stainless Steel Beverage Dispenser Replacement Spigot is designed to replace those easy to break and leaky plastic spigots on the market. 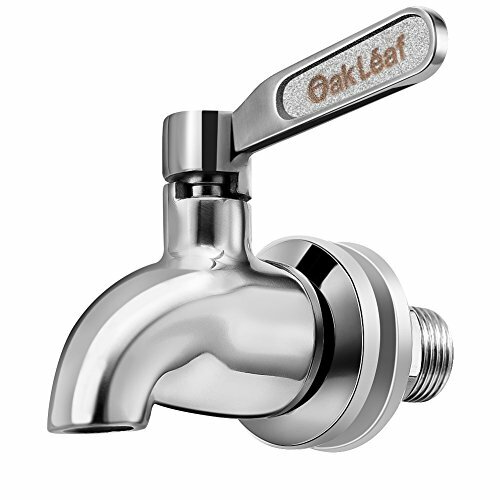 Our spigots look decent, feel solid, and last a lifetime (backed up by our 1 year time warranty), perfect for Beverage Dispenser. 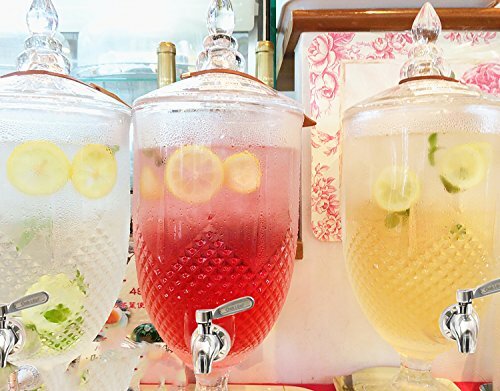 If you are not satisfied with the Beverage Dispenser Replacement Spigot just return them within 30 days for a full refund. No questions asked, no hassle. 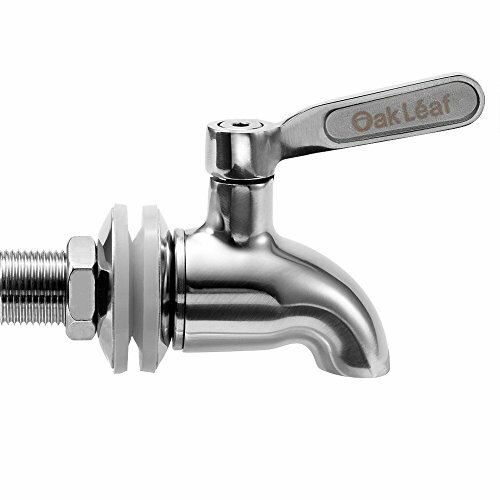 Scroll up to click the Add to Cart button to have your Beverage Dispenser Replacement Spigot shipped today. Needs 5/8 inch or 16mm diameter opening to install. Fits dispenser wall up to 11/16 inch or 17mm thick. Professional Quality - mirror finished stainless steel Beverage Dispenser Replacement Spigot won't rust or stain. Acid Resistant & No Lead - Great for Dispensing Tea, a good dispenser for wine, water, juices and other beverage. Note - Wash before use. If necessary, use 3/4 inch wrench for the nut, do not over-tighten. After each use, rinse throughly with clean water with handle in partial open position(45 degree turn). If used for sugary drink, we suggest that remove spigot from the dispener and clean throughly. Lifetime Warranty & Friendly Customer Service: We have a commitment to every buyer 100% user satisfaction. 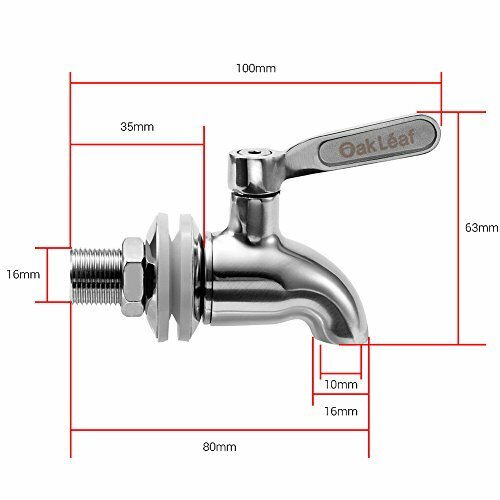 After all, we are customers, too, so if you have any problem about our Oak Leaf Beverage Dispenser Replacment Spigot, just contact us to refund or return.